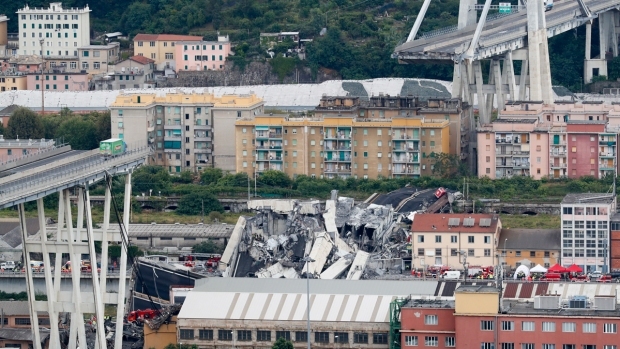 One survivor of the Genoa bridge collapse was in his car as it plunged 45 meters (150 feet) to the ground along with falling sections of highway and concrete. 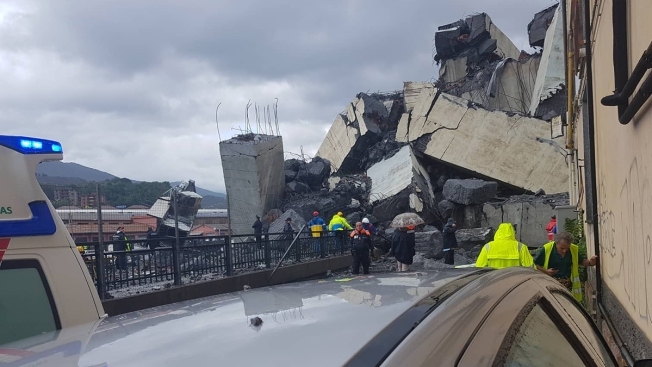 He says he immediately understood that the structure was collapsing. Officials say 38 people are confirmed killed and 15 were injured. Prosecutors say 10 to 20 people might still be unaccounted for, so the death toll is expected to rise. Capello's car, a Volkswagen Tiguan, plunged nose first, then suddenly stopped with a crash, airbags releasing around him. He said he saw only gray, as dust covered the windows. After coming to a halt, he used the touchscreen phone in the car to call his colleagues at the Savona dispatch center, who sent help. He then called his girlfriend and his father, a retired firefighter, who told him to get out of the car immediately for fear the car would destabilize or something heavy would fall on top of it.